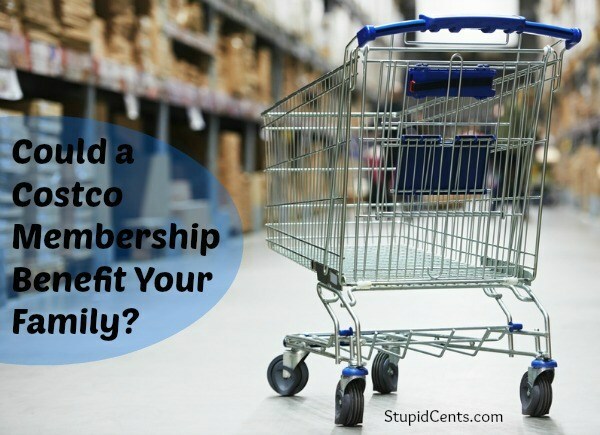 Could a Costco Membership Benefit Your Family? One of the cornerstones of frugal living is the stockpile. In order to stockpile effectively, though, you need to be able to get a lot of items… preferably for a fairly low per-unit price. Many families decide to go to a warehouse store in order to stockpile what they need to get ahead. One of the most popular warehouse stores is Costco. A Costco membership can benefit your family, whether it’s a large family or a small family. With a Costco membership, you can head in and buy non-perishables for a good price. Paper products, cleaning supplies, and canned goods can all be had for low per-unit prices. Plus, some of these items don’t go bad or at least remain usable for several years. You can stock up now, and then just go to your storage when you need it. This can help you stay stocked up, as well as ensure that you reduce the risk of price inflation on your items. Just make sure you rotate your supplies, especially the food, so that it doesn’t go bad before you use it. It does no good to stock up and save money if you end up throwing out the food later. Planning is essential when you use your Costco membership to stock up. Your Costco membership can also help you if you have a large family, or if you are planning to throw a party. There are a number of food options available. Buying in bulk can be one of the best ways to save money on groceries, and buying from Costco can be a real money-saver over time. Large families can benefit from the savings, although smaller families might not be able to make it through the perishable food items fast enough to make it worth it. Instead, small families should focus on the non-food items and the canned or frozen items that don’t need to be used as quickly. It’s also a great resource for preparing for parties. Costco offers a number of different trays, as well as other bulk options that are perfect for parties and large gatherings. It’s a great way to save money on special events. Even if you aren’t interested in buying large amounts of food, a Costco membership can still be helpful. You can get access to a number of consumer products at discounted prices. TVs, furniture, and more can be found at Costco. The savings on these items, as well as on over the counter and prescription drugs, can make the annual membership fee worth paying. A family of any size can benefit from a Costco membership. However, you need to be clear on your needs and your goals. Be realistic about which things are worth buying in large quantities, and which items you are most likely to get better value for. With a little planning, you should be able to reduce your grocery bill and other shopping expenses with the help of a warehouse store.